Trim the base of the pandoro to make a 3cm thick disc. Then cut out the centre. Allow each of the ice creams to soften slightly, then spoon in the espresso flavour, followed by the vanilla and the chocolate. Press the reserved disc of pandoro on top of the ice cream. Put the cake upside down into the bag it came in and freeze for up to 1 month. 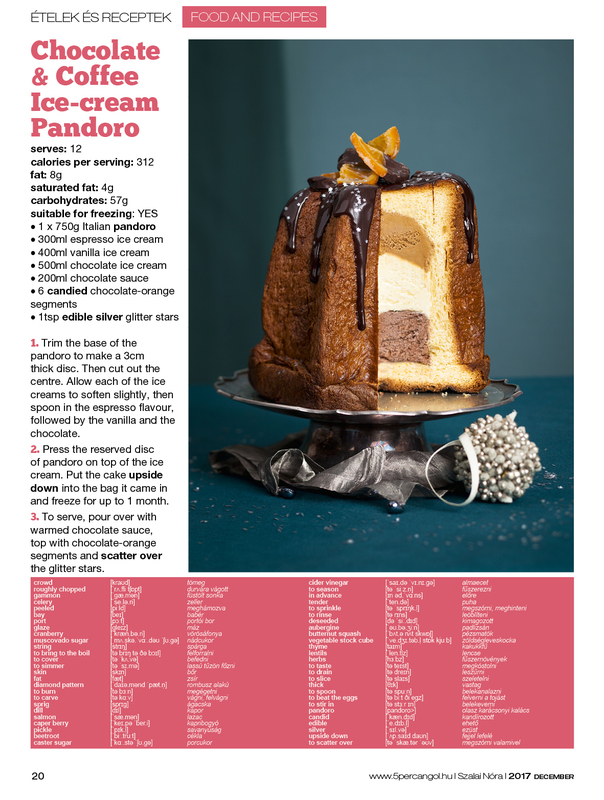 To serve, pour over with warmed chocolate sauce, top with chocolate-orange segments and scatter over the glitter stars.